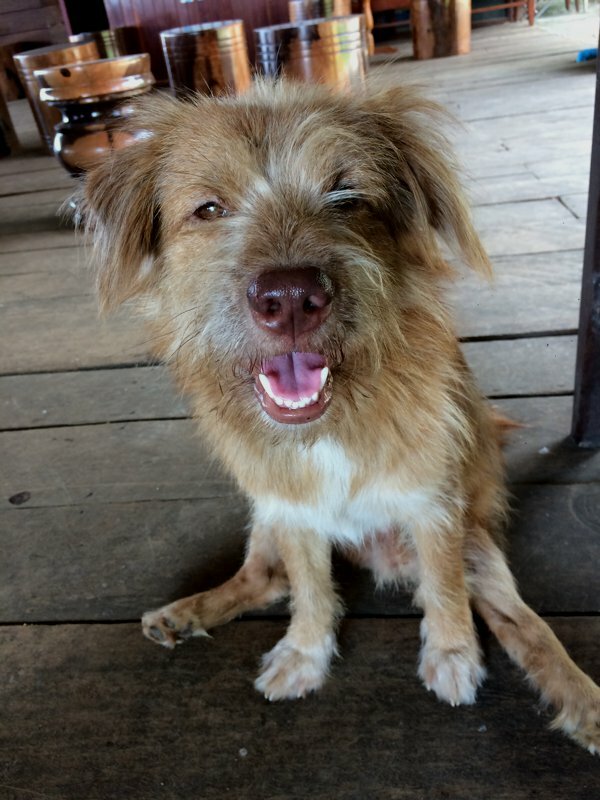 Day 30 route – travelling south of Pakse. 21 July 2016, Thursday. 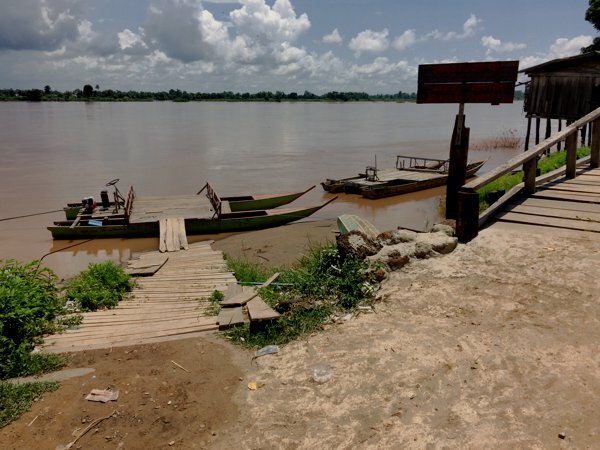 I head to Si Phan Don (literally means “four thousand islands” in Laos) today. 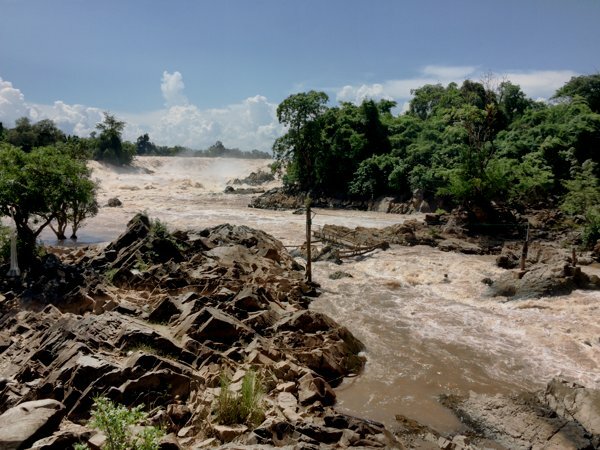 That’t about the southern-most tip of Laos, where the Mekong river meets with an archipelago, creating a system of rapids. There are many islands in Si Phan Don, the biggest of which is Don Khong – the only island accessible by road because of a bridge built in 2014. However, Don Det and Don Khon (connected by a bridge to each other) are the more popular islands that tourists go to. I arrived at Don Khong before 11am and had lunch there. This little fella was my company throughout lunch. Over lunch, and a somewhat decent internet connection, I found out that there is a ferry at Nakasong that might be able to take me and my bike across to Don Det or Don Khon. So I decided not to stay in Don Khong and headed to Nakasong to enquire. The boat at Nakasong to Don Det / Don Khon for motorcycles. 100,000kips (SGD16.70) for a ONE-WAY trip from Nakasong to Don Det. And I’m not even sure how much it cost to come back to mainland – when I’m at the mercy of their ferry service. Nope. Not worth the visit. 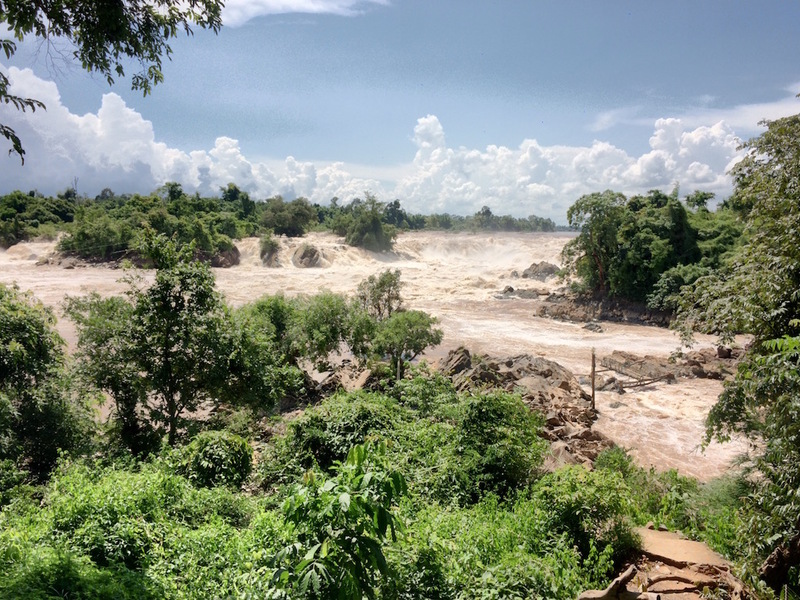 So I headed south towards Kone Phapheng falls – where the typically calm Mekong river meets the archipelago of islets in Si Pha Don, turning into a rapids of sorts. Kone Phapheng falls – 50,000kips entrance plus 5,000kips for the motorcycle parking. 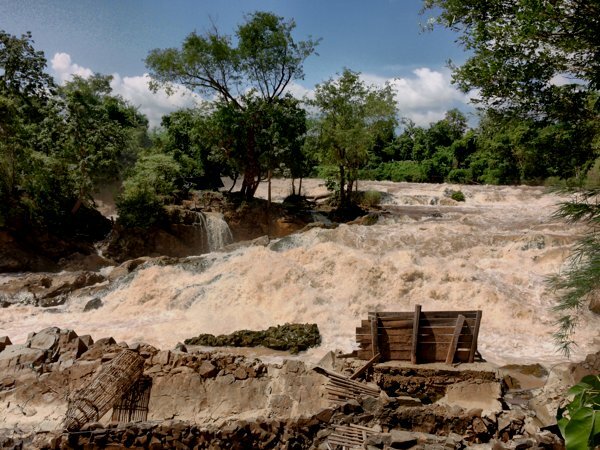 Another view of Kone Phapheng falls. 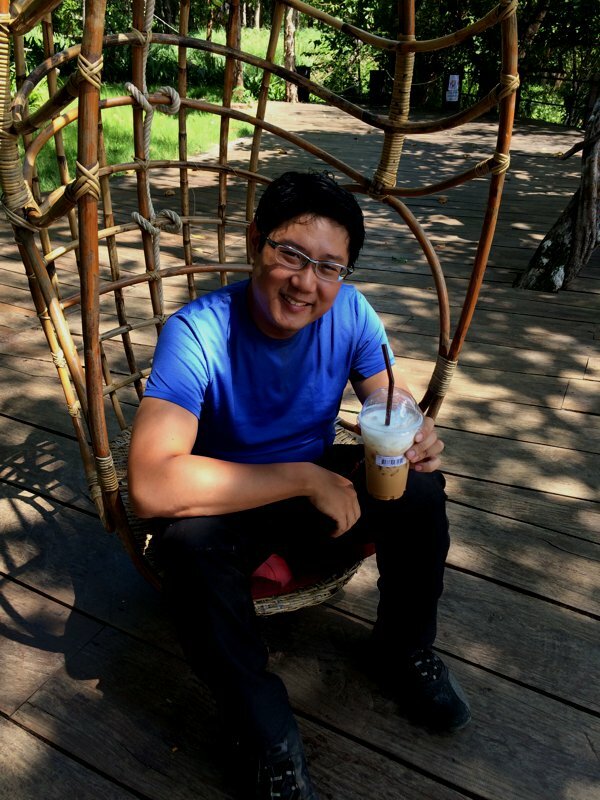 Me with a cup of iced-cuppacino in hand, and on a swing-chair overlooking the Mekong river. Yeah, I spent quite a while in idle daze here. Me and the Kone Phapheng falls. I decided to take it a little easy today, and got myself a room in a nearby resort. Haven’t had some of my clothes washed in a while, so it’s laundry day – while the sun is out. How does sgBikerBoy do his laundry? With his motorcycle, of course! Woah! It’s almost unbelievable I’ve come this far! 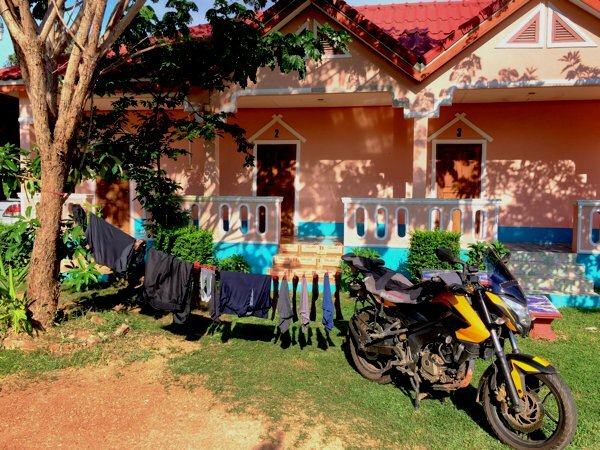 Travelled through Laos on a motorcycle – quite literally from the north to the southern tip. Because of my faulty brakes, I missed visiting the Plain of Jars sites though. Wanted to get to the capital city of Vientiane as quickly as possible to get that rectified. Then retracing my ride back to the Plain of Jars site won’t make too much sense too as I only managed to get a 15-day customs permit on my motorcycle (although I had a 30-day visa on my passport). 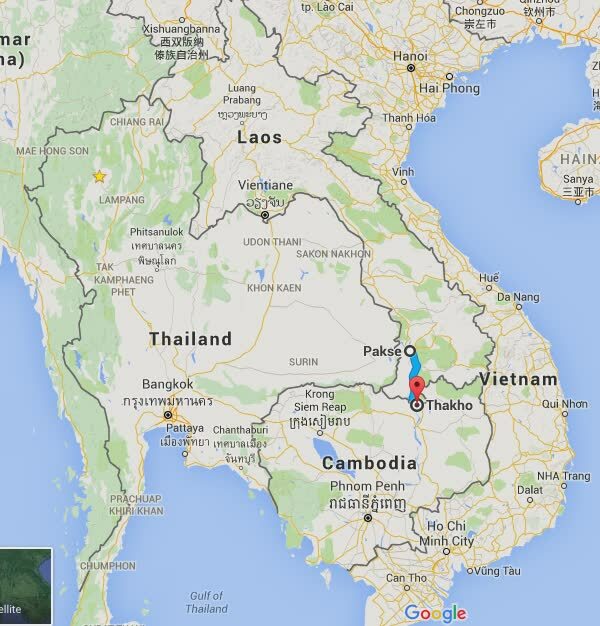 Tomorrow’s border crossing into Cambodia is my most feared one. My research suggests that I probably have a 50-50 chance of getting into Cambodia – as they’ve been known to turn motorcycles back. If that happens, getting back into Laos is also known to be problematic – especially after exiting it just minutes earlier. Hey, if you go into Cambodia and have some time, I highly highly recommend going to Bokor Mountain in Kampot. It’s an easy and gorgeous ride. 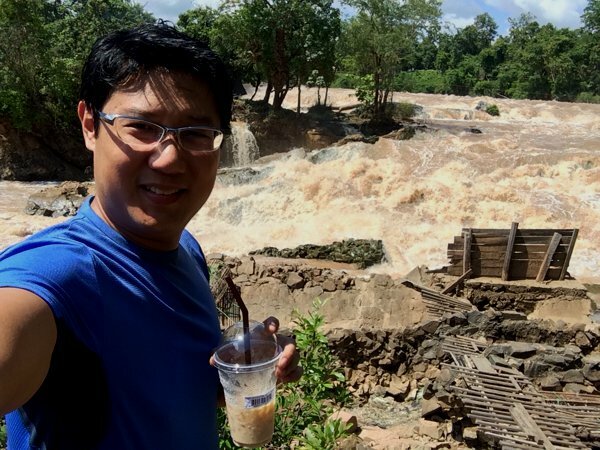 Due to the poor internet connectivity here in Laos, I honestly haven’t done much research on Cambodia.